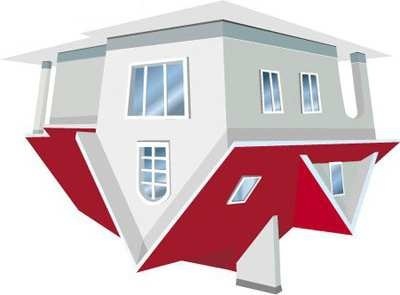 When it comes to Flipped Houses – Buyer Beware! If you are in the home buying market for more than 20 minutes you will have undoubtedly seen the flipped properties that look absolutely spectacular. From granite counter tops to high-end appliances; it looks like the perfect house. However, it’s important to remember the contractor is flipping the house to make a profit – and the more profit, the merrier – for the contractor. As a result, some contractors will do a fantastic job making the home presentable, but skip doing things that need to be done if it won’t be obvious to a potential buyer. A couple who recently bought a 3 bedroom, 3 bathroom row house just outside Washington D.C. for $630,000 learned the hard way. About six months after they had closed on what they thought was their ideal home, they were contacted by the D.C. housing inspector. The inspector told them that his office was investigating the contractor who had flipped their home along with several other homes, and he needed to inspect their property. The inspector visited their home and when he left he presented the home owners with pages of items that needed repair – to the total of well over $100,000! The addition on the back of the unit that included two additional bedrooms and two bathrooms did not have permits to be done and would not have been approved had the contractor filed for a permit. Electrical wiring was not up to code. The beautiful wood flooring that was installed covered up termite damage that was not treated or repaired. Parts of the property had serious mold issues that had not been treated, but simply covered up with dry wall. Because the flipper had never lived in the property he is not required to submit a Residential Property Disclosure identifying all of the issues in the house, The contractor, however, should have reported the issues to potential buyers as latent defects. Latent defects are a “…fault in the property that could not have been discovered by a reasonable thorough inspection before the sale” but that the seller was aware of. Unfortunately, if the current home owners decided to sell the property, they would have to disclose the issues now that they are aware of them. Here are some tips to help ensure the property is what it appears to be before you sign on the dotted line. Make sure the flipper provides a list of those who worked on the property, such as electricians, plumbers, etc. Make sure each of the contractors are licensed. Request a list of work that was completed, including any warranty information. Check with local officials to ensure permits were filed. Have a professional termite and mold inspection along with a home inspection. Make sure the housing authority has issued a certificate of occupancy. In a hot market, a flipper may resist providing this information because he feels someone may buy the property without questioning anything. That should be a red flag to you. 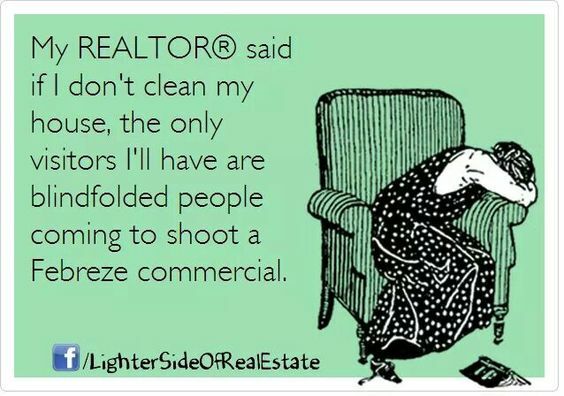 In real estate that phrase is very true. When the real estate crash of 2008 came about real estate brokers scrambled to find ways to get clients. The discount broker business started increasing in business, even though most of the full-service brokerages were often times matching the commission. As the real estate market began rebounding the discount brokers were then scrambling to hold on to their sales. To do so they began advertising their services as “discount real estate brokers with full service.” Sounds good, right? But be sure to read the small print. Several years ago when the real estate market was at its lowest ebb, I had some clients who were looking to buy a house. We met in the office and looked over some properties that I thought they would like and found one that really piqued their interest. When I called the listing agent to set up a showing, he informed that they were a discount broker and that I should call the seller direct. I called the seller and set up a showing. My clients liked the house and wanted to submit an offer. I called the agent again, and he informed that I needed to deal directly with the seller -weird. I emailed the offer to the seller who promptly called me and asked if that was a good price! I told him that I represented the buyers and he needed to call his agent to discuss with him. The seller’s reply was that he did not want to call him because the discount broker charged him every time he called with a question! The offer sat on the table for a few days at which time my clients withdrew the offer and bought a different house. In another example: I read an article recently where a broker claimed they were a full service brokerage while offering to list a property for a 1% commission sounds good. Here’s the problem: That 1% does not include the commission that the listing broker will need to share with the buying broker. In addition, that broker, although they advertised as “full service”, did not do any negotiating for price, setting up the closing date, negotiating findings of inspections, and on and on. 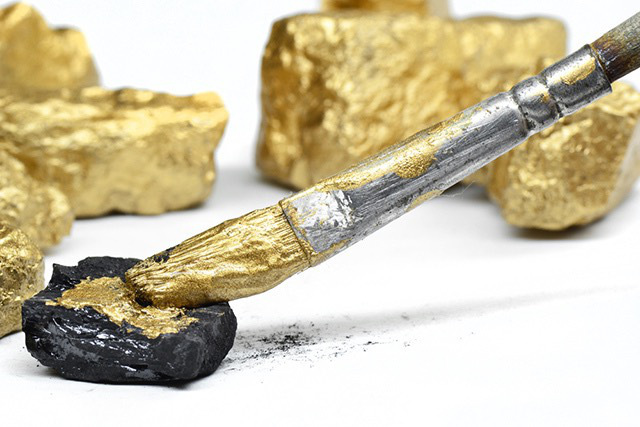 If you wanted your listing broker to do those functions, you will pay more – all that glitters is not gold! Here are five trends that building and design industry professionals predict will be upcoming trends for 2018. It is important to note that a “trend” is something that will more than likely last ten years or more. A fad is something that comes on the scene and can disappear as quickly as it emerged. These five trends are predicted to stay for a while. Smart Home Technology Smart home technology is the number one trend that is predicted that home buyers will be looking for in 2018. Adding smart home technology can make your home more attractive to young buyers who currently make up the largest population of home buyers. Adding smart home technology can cost anywhere from $5,000 to $9,000 on average, but can increase the value of your home by 5%. The most sought-after items include smart lights and thermostats and security features like locks and cameras. One thing to keep in mind, any technology that is over five years old has little value to the home. Open Floor Plans Open floor plans continue to be a sought-after option on homes, especially single floor homes. Opening up the floor plan of a boxy home can make the home more appealing to a buyer. However, this is a project for a professional to avoid weakening or trying to remove a load-bearing wall. In any event, removing walls to open up the floor plan will most like only give a 60% return on investment. Solar Energy Solar energy is not a new but it is one that is making gains in today’s market. The national average to install solar panels is between $20,000 and $25,000 and the ROI will vary depending on location and weather in your area. Tiny Houses Tiny houses have been around for a while, but there has been considerable interest in tiny houses the last few years. Enough so that home builders are beginning to take it seriously. Tiny houses can be built anywhere between $10,000 – $40,000 making these interesting to first time home buyers and minimalists. Voice Control Systems Artificial Intelligence and voice control systems round out the top trends for 2018. Nearly all of the industry influencers agree that smart home systems that are controlled by AI or voice. Will be one of the biggest trends in 2018 and for years to come. In addition to looking at the return-on-investment it is also important to remember that properties with current trends tend to sell quicker. 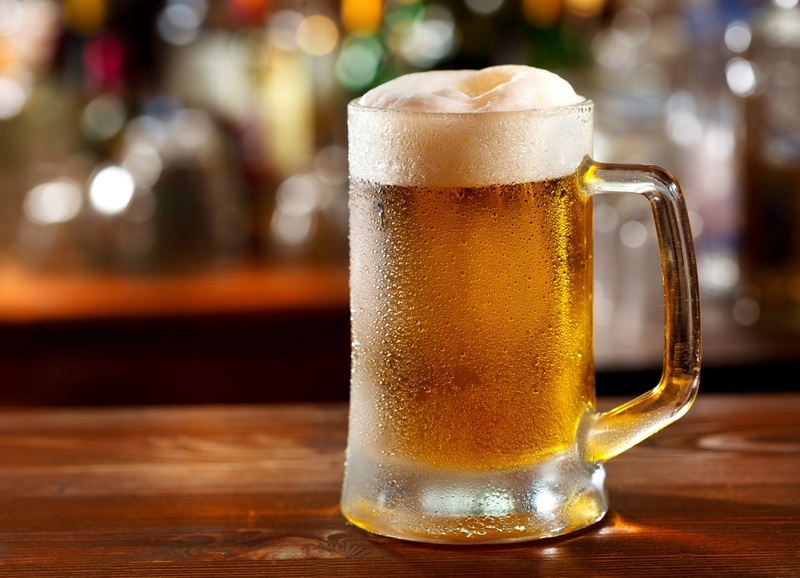 Beer commercials delight in having a perfect head of foam; however, to accomplish this, advertisers add dish soap to the beer. Leonardo da Vinci could write with one hand and draw with the other hand – at the same time. Antarctica is the only land on the planet not owned by any country. In Western countries the color of mourning is black. In Turkey the color of mourning is violet; in Muslim countries and China the color of mourning is white. In the middle of winter it is hard to imagine that spring will ever arrive, but it will be here sooner than you may think, especially if you are thinking of selling your home this spring. Here are a few tips to help you get ready to list your home for sale. One of the best steps you can take to get your home ready to sell is to find the right REALTOR® for you. No two REALTORS® are alike, but it is important to find an agent that understands the business end of selling and buying real estate. One of the qualifications that I think is critical is that you and your REALTOR® can communicate well. That being said, here are four tips to help get your home ready to sell this spring. Create a Blank Canvas Your home may be immaculately decorated, but your décor is a reflection of your tastes and preferences – not those of the prospective buyers. Your goal is to enhance your homes features and space in a way that helps buyers envision it as their own. Having personnel pictures of your family scattered throughout the house makes it your home, not there’s. Another tip is to declutter. I have been in homes where my advice to sellers was three things: declutter, declutter, and then declutter some more. Renting a storage facility for a few months is probably a good idea. Spruce Up Curb Appeal The old adage that you never get another chance to make a first impression is true in real estate. The image that a potential buyer has of your home as their drive up will lay the ground work of what they see inside. As a general rule of thumb, you should trim bushes and trees, plant seasonal flowers, reseed or lay sod in bare areas. The front entrance should be clean and well-lit. This may cost you a couple of thousand dollars to do it right, but studies have shown that good curb appeal can add 3%-5% to the sale of your home. For a $250,000 home that would be $7,500 – $12,500 to the bottom line. Price It Right This is by far the most important thing to keep in mind. A home that is not priced right, will more than likely sit on the market for a long period of time. In real estate, that is the “kiss of death.” Setting the right price is the key to attracting the right buyer. Set your price too high, and you deter prospective buyers; too low and you leave money on the table that should be yours. 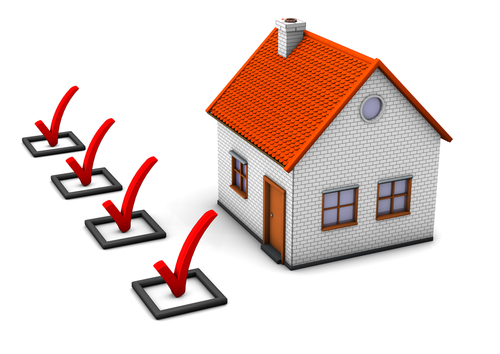 It is important to work with your agent to determine the best price to list your home for. If your home has been on the market for longer than the average time in the area, it is a clear indicator that your home is not priced right. Be Flexible Without fail, things will go wrong, especially if you have a family with small children. Often times we will have a client who has flown in from another part of the country and has limited time. If you have instructed your agent that you do not want showings after a certain time, be flexible enough to understand that buyers also have time constraints – be flexible.